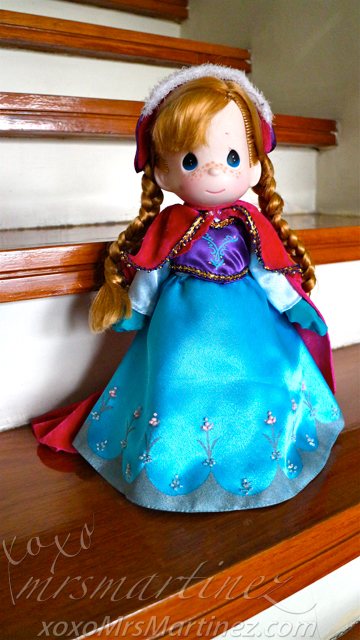 It's already September and yet my daughter received another birthday gift- a Precious Moments Princess Anna Doll. It was given by one of her godmothers. 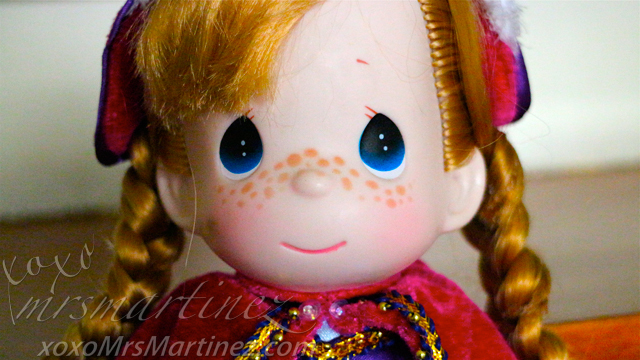 The doll came with a huge box that made my daughter's eyes lit up when she saw it. Written at the back of the box was a Thank You note signed by the creator of Precious Moments himself, Sam Butcher. 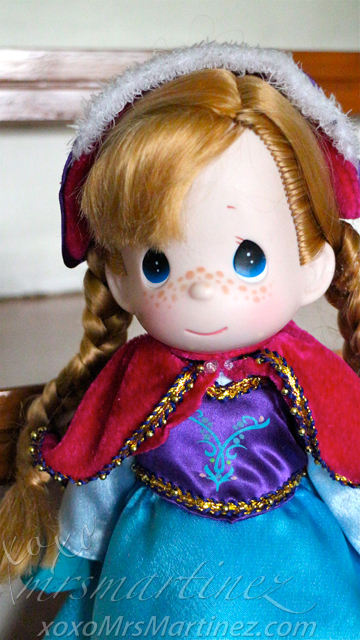 Part of the proceeds of this doll shall be donated to the Samuel J. Butcher Foundation. The foundation inspires and encourages others to serve with selflessness and dedication, to give with generosity of resources and spirit, and to pray with moving feet to help restore and sustain organizations and individual through ministries motivated by God's unconditional love. Everything that is done by the Samuel J. Butcher Foundation is a manifestation of the phrase: "To God Be The Glory". 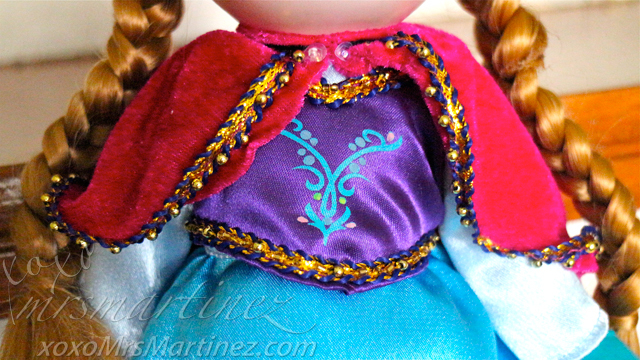 The Princess Anna doll is so cute. 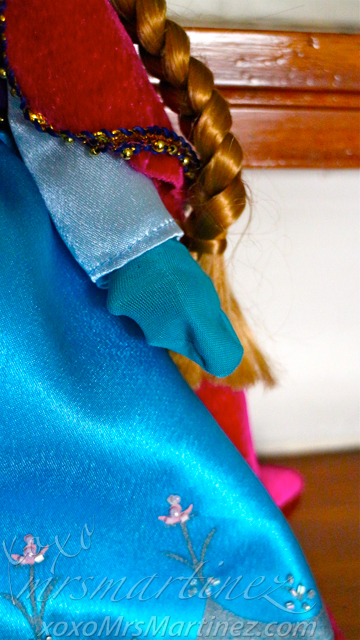 She is wearing her winter dress. 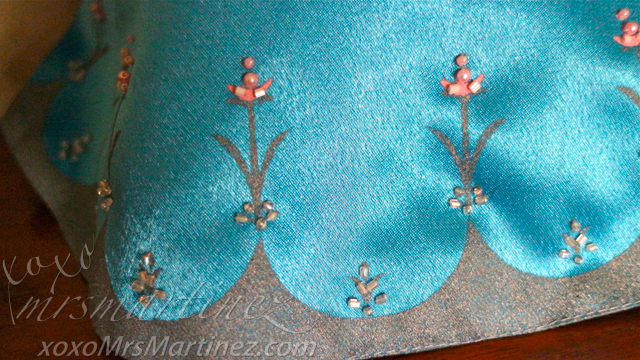 It's a traditional Norwegian clothing called "Bunad". 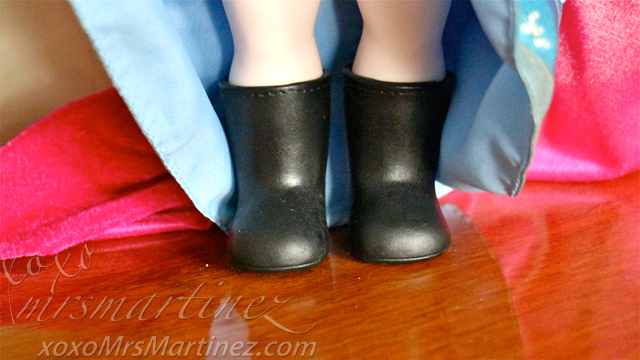 The original design consists of dark blue skirt with a black bodice, a light blue long-sleeved blouse, and a black heeled leather boots. 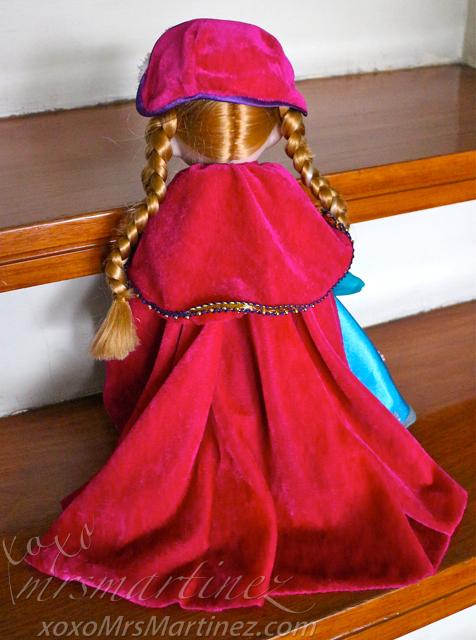 Oh, let's not forget the pair of blue mittens, magenta bonnet and a detachable magenta cape. 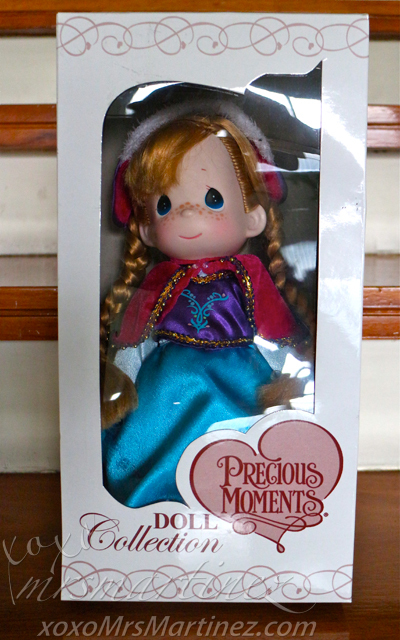 Disney Frozen Princess Anna is part of the Precious Moments Manila Doll Collection. 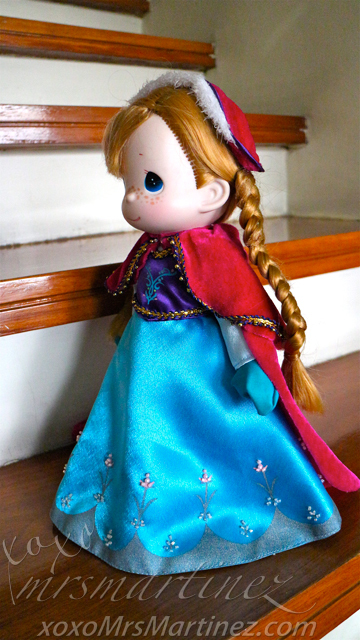 Also available in 9" doll for Php 1,000.